An expat is fighting to keep a homage to Britain he built in his garden in Germany after the Brexit vote. 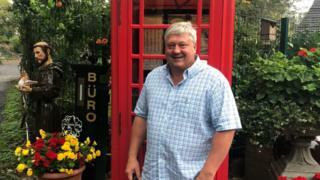 Gary Blackburn said he created “Little Britain” to foster relationships between Brits and Germans after Britain voted to leave the EU. 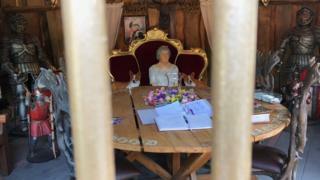 The exhibition features a static army tank, telephone box and the Queen sitting at King Arthur’s Round Table. 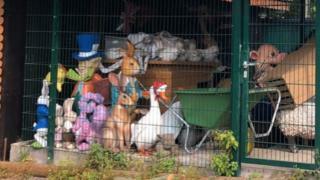 Mr Blackburn said local authorities had threatened to close the museum but he now hoped to be able to save it. The 54-year-old, a tree surgeon from Burton-upon-Stather, Lincolnshire, who once worked in Sherwood Forest, began collecting British memorabilia two years ago at his home in Kretzhaus, 30km (20 miles) south of Bonn. 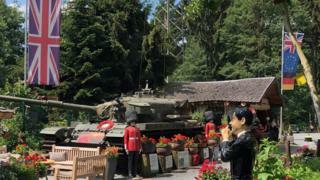 “I started collecting telephone boxes and figures and bought a centurion tank as a monument for freedom and peace and to remember the fallen,” he said. Mr Blackburn said he was told to remove the museum by both Erpel and Neuwied local authorities in August because he did not have the right permits. But he has now submitted fresh planning applications and said he was confident they would be approved. 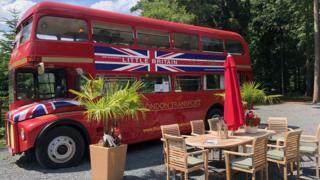 The museum features exhibits including a London bus and a Mr Bean car. 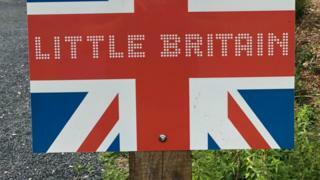 Mr Blackburn said “Little Britain” has received great support since German media carried stories about its possible demise. “In May, dozens of people turned up to celebrate the wedding of Prince Harry and Meghan Markle,” he said. Mr Blackburn said the local authorities were now helping him and have told him to make changes to save the museum. 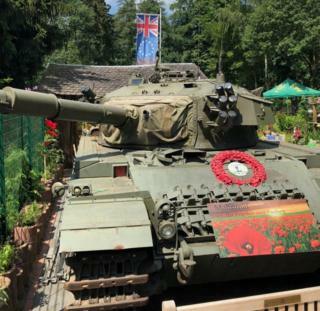 “The static demilitarised tank, which caused the biggest issue with neighbours, is now functional and now does not need building permission,” he said.